As an avid cyclist, I am always interested in organizations and people promoting and supporting bikes. PeopleForBikes is an initiative of Bikes Belong, dedicated to improving the future of bicycling in the United States and with the express “goal of gathering a million names of support, to speak with one, powerful voice—to make bicycling safer, more convenient and appealing for everyone.” I recently spoke with Tim Blumenthal, President of Bikes Belong, about this wonderful movement and his thoughts on mindful living. Not worrying too much about the past, not thinking too often about the future, and just being happy and focused on what you are doing now. Of what achievements are you most proud that PeopleForBikes has been able to accomplish? 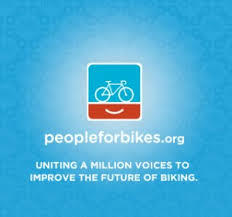 In three years, PeopleForBikes has attracted 700,000 supporters. That’s an unprecedented number of backers for an American bicycling group. This group has a strong (and growing) voice that will help make bicycling safer and more appealing for all Americans—wherever they live and wherever they bike. What do you see as the future of PeopleForBikes? I expect PeopleForBikes to continue to grow. I believe PeopleForBikes will become a respected, mainstream voice for bicycling that will inspire the development of safe and appealing bike networks in communities of all sizes, coast to coast. I think PeopleForBikes will develop broad and diverse support. In 10 years, I think most Americans will know the name and the reason-for-being of our organization. In 10 years, I think a lot more Americans will ride bikes. Two ways: I would like to continue to be a teacher and mentor to others. Second, I would like to play a leadership role in making bicycling more popular. As more people bike, more people will be healthy, happy and active. Find an activity that you love or really like. Learn everything about it that you can. Help others to learn about it and get involved. 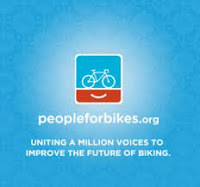 To learn more about PeopleForBikes check out their website or read their blog. Whether you’re a casual commuter or a more serious rider, you can contribute to a national movement to improve bicycling in the United States by signing the pledge.